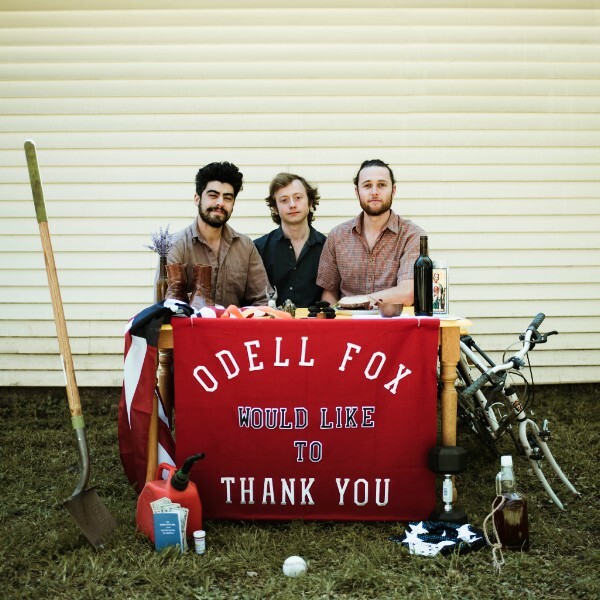 For those who didn't get the news through all the social media wrangling (good on you) the new Odell Fox album,Thank You, is available everywhere music is consumed! We're damn proud of it. And it seems others are taking note – both TIME Magazine and The Bluegrass Situation featured the album, and Atul Gawande had us perform it in his kitchen! I'm on an airplane, one of four trips across the country this month for performances in NYC, LA, D.C., Nashville, Bend, and back to SF to mix my solo record. The flight attendant is beautiful and rather aloof, so it goes. It's one of those days that's hard to put a finger on. Like digging a tapioca ball from the bottom of a bubble tea. Houston is in the mud, Florida is all broken windows, the West is on fire, and no one mentions Mexico. Russia launched a giant pyramid in space (it's true), we're still in a war, yet somehow, someway, things are looking up these days. Things are looking up these days! Nov 19 - Spoon Full Farm - Thorp, WA - 5pm ***limited spots, respond to this email to book yours. Each month I post a new original song for my Patreon community. This month's song is inspired by my friend Abby and written while visiting her in Fort Collins, CO. It's one I've been working on as a way to introduce my live show, a prologue. It began as a goofy late night meta-muddle; a song to remind me of why I sing while I'm singing type thing. Pledge $1 to listen. Thank you for your support. Being Mortal by Atul Gawande: his seminal book on what matters at the end of life. It's wonderful, challenging, and important. AND he's a really nice guy, with a really nice family, who serve really tasty margaritas. Walt Disney's Dream Room: For his distinct stages of the creative process Disney built three seperate rooms to work. The dream room is a non-critical space to let your imagination run wild. It doesn't necessarily need to be a room, it could just a moment when allow any idea or dream to develop without judgement. Whatever Burkhard Bilger writes about. I recommend mushroom hunters and youth bull riding. He has a uncanny sense of character, and he's the kind of writer who can make any topic interesting, especially interesting ones. Burkhard is also the dad of my favorite bass man, Hans Bilger. Regarding Shakespeare: "It had to be easy, or it would be impossible."